Blog - Rose Symbolism in Gifts: What Does the Red Rose Symbolize? The rose symbolism of the red rose is established as the flower of love. 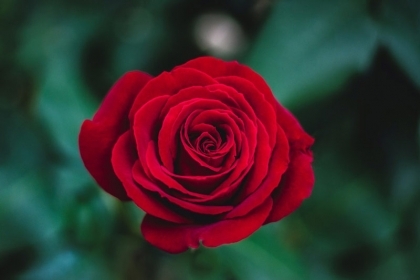 Find out how the red rose came to its significance in romance. Did you know there are over 150 different species of roses? Yellow, pink, orange and white roses, all make lovely gifts. Yet, if you want to impress your lover, only the celebrity of roses will do. The red rose is the most popular among young and old couples alike. The timeless beauty of a single red rose has impressed countless generations. Brimming with inspiration, red roses are the topic of songs, movies, love poems and more. But why is the red rose the symbol of romance? Why not a white, pink or yellow colored rose? Read on to find out about rose symbolism and how red roses got their reputation as the flowers of love. Every individual rose color has its own history and meaning. Yellow roses denote friendship, white one's innocence, and orange sends a message of intense passion. Red roses first began gaining recognition as a symbol for love in Greek and Roman history. The Roman goddess of love, Venus, chose the red rose as her favorite flower. In Greek mythology, Aphrodite was responsible for making the roses red. Running to help her lover Adonis, a white rose's thorn cut her foot. Her foot bled all over the white roses as she ran to help Adonis. In her act of love, all the roses turned red. Christian culture began adopting the red rose as a symbol for the Virgin Mary. And during Medieval times, five petals of a red rose were synonymous with the five wounds of Christ. The blood red color was a reminder of his sacrifice on the cross. The universal flowers even hold meaning in Tarot card readings. Tarot considers the rose to be a representation of balance. It delivers a ray of hope that new beginnings can emerge. According to Tarot, the thorns represent defence and physicality. You can find the rose symbol on the Magician, Death, Fool and Strength cards. Each of these 4 cards represents a state of balance and harmony. Did you know the number of red roses you give impacts the message you are sending? While it’s most popular to give a dozen red roses, it might not be the right choice for you. For example, if you're with someone new, a dozen roses could send the wrong message. You don't want to come off too strong and ruin your first date. Instead, you should pick the number of red roses based on the message you want to express. How many roses will you need to send your message of love? The simple answer for when to give a red rose is anytime. You can give red roses for Valentine’s Day, anniversaries, first dates, and more. There’s never a wrong time to remind the special person in your life how much they mean to you. 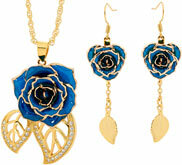 Now you know more about rose symbolism, you’re ready to find the perfect gift. 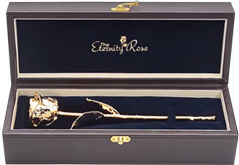 Regular roses fade away over time, but The Eternity Rose can give you a timeless flower that will never die. 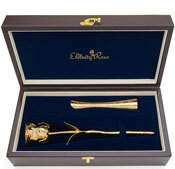 Our exquisite gift sets combine the passion of the rose with the elegance of jewelry. Are you ready to bring a smile to the woman in your life? 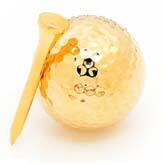 Make an impression with a stunning symbol of love that will last forever. Check out our handcrafted red glazed rose and vase set. 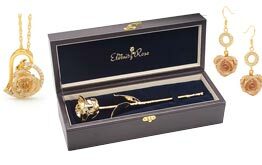 The single rose will remind her of your own love story and the many chapters that lie ahead.